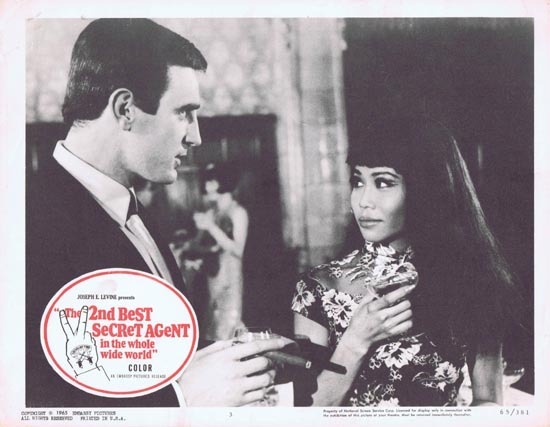 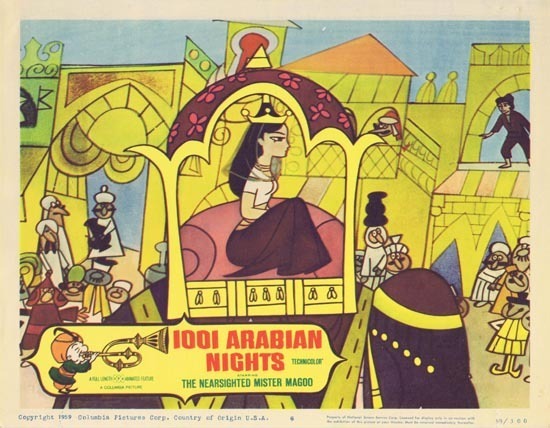 1001 ARABIAN NIGHTS Lobby Card 2 1959 Jim Backus as the The Nearsighted Mr. Magoo! 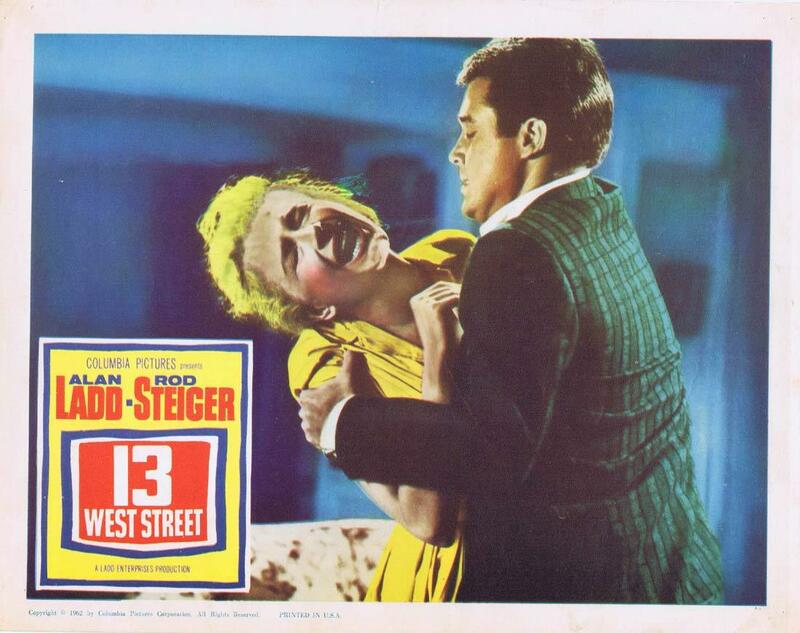 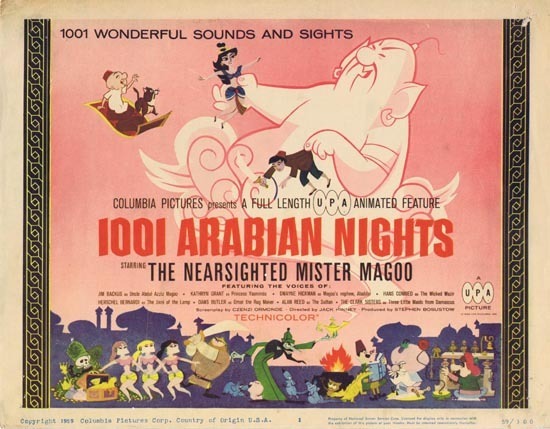 1001 ARABIAN NIGHTS Lobby Card 3 1959 Jim Backus as the The Nearsighted Mr. Magoo! 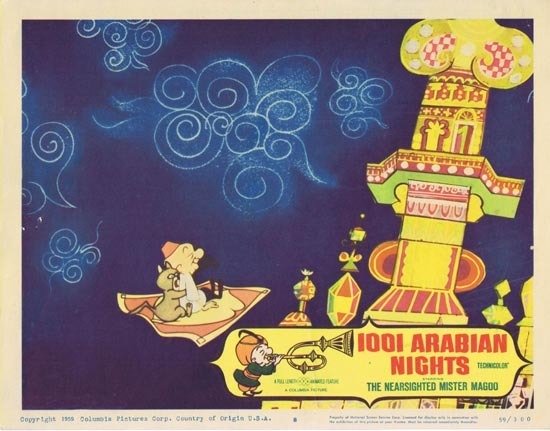 1001 ARABIAN NIGHTS Lobby Card 4 1959 Jim Backus as the The Nearsighted Mr. Magoo! 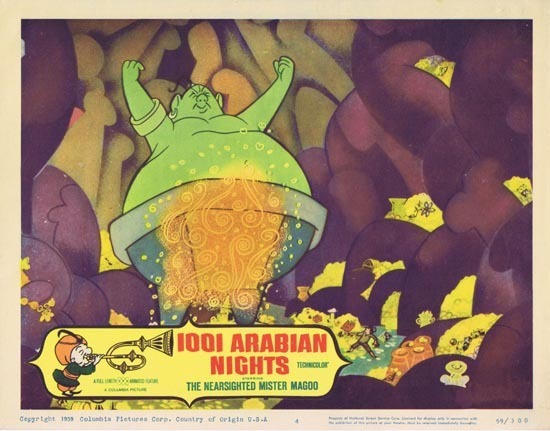 1001 ARABIAN NIGHTS Lobby Card 5 1959 Jim Backus as the The Nearsighted Mr. Magoo! 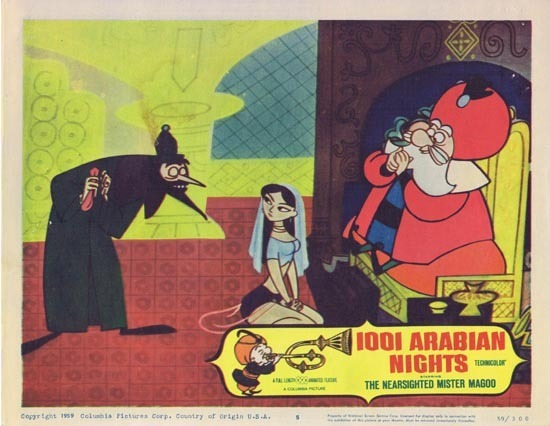 1001 ARABIAN NIGHTS Lobby Card 6 1959 Jim Backus as the The Nearsighted Mr. Magoo! 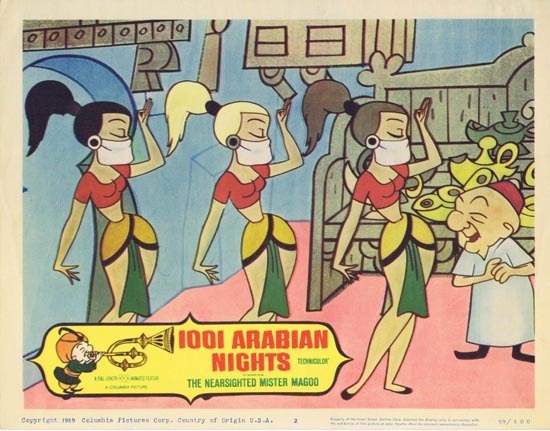 1001 ARABIAN NIGHTS Lobby Card 8 1959 Jim Backus as the The Nearsighted Mr. Magoo! 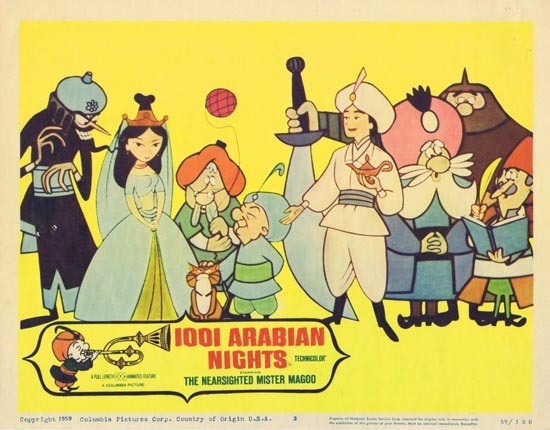 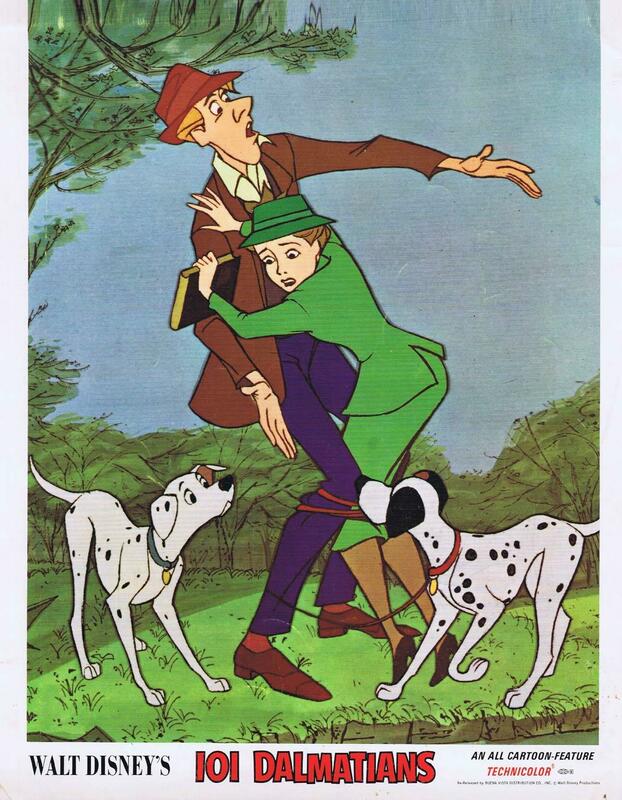 1001 ARABIAN NIGHTS Title Lobby Card 1959 Jim Backus as the The Nearsighted Mr. Magoo!